Amid growing concerns, can Germany cope with the current refugee crisis? With record numbers of refugees both entering and already in Germany, criticism is growing at the way Germany’s Federal Office for Migration and Refugees (BAMF) is handling the situation. by Nicolas Walton. As Europe struggles to cope with the huge numbers of refugees seeking sanctuary from terror, persecution, hunger or economic misery in parts of Africa and the Middle East, Germany has been pushing to strengthen the European Agency for the Management of Operational Cooperation at the External Borders (FRONTEX), as indeed has France. These countries want the agency to be allowed to secure the EU’s borders more efficiently. It is worth taking a fresh look at the motivation behind Germany’s move. The German government says it can handle the situation, but can it really? At a conference in the German city of Koblenz on Thursday 3 and Friday 4 December 2015, the Federal Office for Migration and Refugees (BAMF) and its director President Frank-Jürgen Weise were sternly censured for the perceived inadequate performance of the BAMF in dealing with the large numbers of refugees already in – and still entering – Germany. The main point of criticism was that there appears to be stagnation in almost all areas, from the registering of refugees to processing refugees’ requests for asylum / asylum applications. One attendee of the conference, Social Democratic Party (SPD) politician and Minister of the interior of the western German state of North Rhine-Westphalia Ralf Jaeger, was quoted as stating that BAMF-President Weise’s progress report had been “mostly disappointing, in some parts even shocking”. Jaeger was particularly annoyed at Weise’s declaration that BAMF personnel would not, despite the work piling up, begin to work shifts or weekends, a request that Weise had denied on the basis that he would not be able to secure the cooperation of the personnel/labour councils on this. Jaeger thought this work attitude in such a time of crisis absurd, stating that refugees could not simply adhere to office hours from 8 to 4, since issues ranging from lacking adequate clothing and shelter to protect against the falling wintery temperatures, as well as much-needed food and medical supplies could not simply be deferred to “some other time” in such a manner. 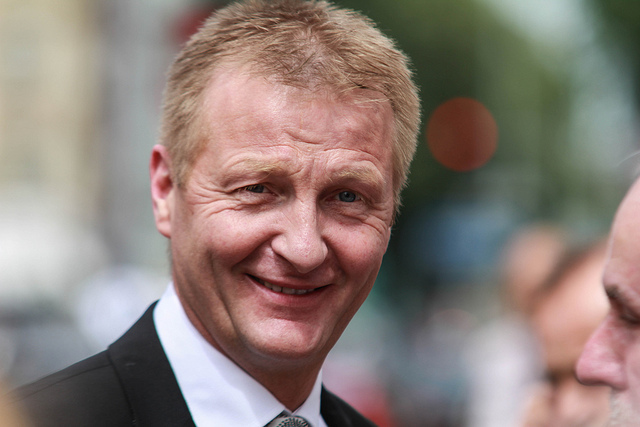 Jaeger’s fellow party member Malu Dreyer, currently serving as the Minister-President of the south-western German state of Rhineland-Palatinate, added on Sunday 6 December that if personnel working at community and state level could put in the extra hours then so should the BAMF. However, German Minister for the Interior and Christian Democratic Union (CDU) politician Thomas de Maizière spoke out in Weise’s defence, claiming that the BAMF was doing its utmost to cope with the huge numbers of refugees while having to perform in a climate of stress and faced with criticism from all sides. In addition, the BAMF is clearly working at capacity, with approximately 700 so-called “asylum-deciders” currently employed. But estimates suggest that double that number will likely be required in order to manage the current flood of asylum applications. However, placing the blame squarely on the BAMF also appears both convenient and a little too easy, and might also be intended by some Minister-Presidents of the sixteen states to deflect criticism away from the states and back on to the federal government, which in turn has been trying to play down accusations of not having taken timely action ever since it was reported that the German Federal Police had already warned about dramatically rising numbers of refugees back in the spring of 2015. Of interest is in this context that the CDU has recently lost several Minister-President posts to the SPD and thus faces significant opposition at Federal State level, although under Chancellor Merkel the CDU continues to dominate the CDU–SPD grand coalition. In addition, it seems unlikely that a simple approach of working on the weekends will get the job done. Even seconding staff from other Ministries and Offices to provide a temporary boost to the BAMF can only accomplish so much, with the most obvious shortcoming of this tactic being that it is a short-term and not long-term solution. While the government has earmarked for the BAMF thousands of additional posts for 2016, recruiting these staff will take up time and resources currently already in short supply, while training them and getting them started in their jobs will take even longer. It should come as no surprise to anyone that these things take time. The consequences will therefore likely be a very long wait for those refugees hoping for a positive decision on their asylum applications and an even longer wait – plus an extremely uncomfortable winter until temperatures rise in spring – for those refugees still awaiting the opportunity to register and formally request asylum. Far too many have yet even to secure shelter. 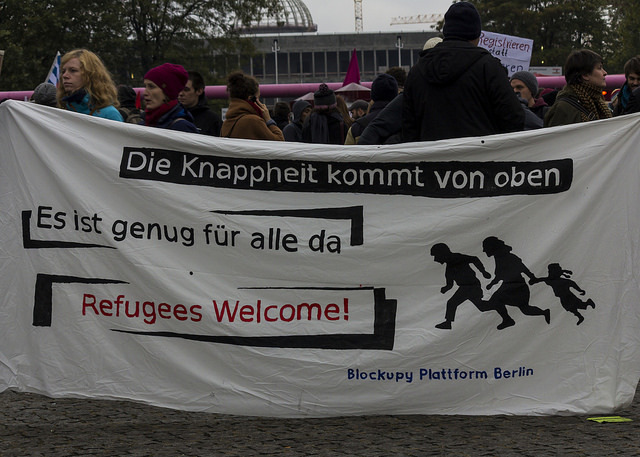 Bild 1: Refugee demonstration in Berlin – under the motto „Enough!“ the honorary „Moabit Helps Initiative“ on 17.10.2015 organized a protest/demonstration in front of the Rotes Rathaus in Berlin, criticizing the organizational chaos displayed by the Berliner Landesamt für Gesundheit und Soziales (LAGeSo) in registering and supplying newly arrived refugees. Urheber (Bild + Text): Leif Hinrichsen, Lizenz: Creative Commons Attribution-NonCommercial 2.0 Generic (CC-By-NC 2.0). Bild 2: Minister of the Interior of North Rhine-Westphalia Ralf Jaeger (SPD) – Urheber: Thomas Rodenbücher; Lizens: Creative Commons Attribution 2.0 Generic (CC BY 2.0). Bild 3: Gebäude BAMF – Urheber: Nico Hofmann; Lizenz: Creative Commons Namensnennung – Weitergabe unter gleichen Bedingungen 3.0 Unported (CC BY-SA 3.0). Lorenzo Romagna Manoja – Flüchtlinge in Berlin – Wie geht es weiter? Christoph Rohde – CSU-Parteitag: Merkel-Dämmerung?